Dit is een lijst met 101 toepassingen van de Introductie Kit, met de drie essentiële oliën van flesjes van 5ml. Citroen, Pepermunt en Lavendel. Nourish Your Leathers. Whether you ride a Harley in style or cherish the patina of your leather sofa at home, your leathers are not maintenance free. Use a lemon oil soaked cloth to preserve them, and prevent leather from splitting. High Ho Silver. A lemon oil treated cloth is a great remedy for the early stages of tarnish on silver or other metals. You may not eat on silver every day, but bracelets, earrings, necklaces often need some love. Pep Up Your Entrees. With lemon oil, there are countless ways to make the bland zippy, or the blah peppy: Roasted salmon & asparagus with lemon oil, Linguine & shrimp with lemon oil, Lemon oil drizzled over vegetables (especially broccoli), Lemon garlic shrimp … or to add a fresh kick to an already great salad. Preserve What You’ve Got. Use lemon oil in a spray to keep your cut fruit fresh until serving. Ease Respiratory Gunkity Goop. When used with a humidifier, it’s a great way to slow wheezing, colds, cough, and other upper respiratory problems. De-scratch Your Scratchy Throat. Adding a couple drops of lemon essential oil to warm water & honey can change that yucky sore throat feeling, slow a nasty cough, and douse a fever. Lemon oil fights bacteria, as well as viruses. Honeylicious Hair Highlights …Chemical Free. Skip the expensive salon highlight treatment, and use lemon oil to create your own hair highlights. Just go in the sun after using with your hair product, and it will lighten your hair. Be careful, it works well! Fight the Fungus Among Us. Tired of seeing that unsightly nail fungus? Lemon oil is great for nails, and can help fight against nail fungus. Halt the Nervous Nellie, In You. When combined with lavender oil and diffused into a room, you’ll find you feel less anxious, a better mood, more even keel, and well … linear. Take the Heat Out of Cold Sores. When you have a gnarly cold sore that’s just begging for attention, douse it with a few drops of lemon oil and you’ll have a new best friend. Was That a Crusty? Next time you notice hard, crusty skin on your feet, (e.g. corns, calluses or bunions) regularly add a few drops of lemon oil and you’ll soon have softened skin! A Brighter Complexion. Lemon oil can help remove dead skin cells and exfoliate. For a homemade exfoliant, add 4-5 drops to a small amount of oatmeal and water for a homemade scrub. Feels great! Calm a Tempest. Just one drop of peppermint oil rubbed on the stomach or taken internally can calm indigestion, an upset stomach or other internal digestive commotion. A must-have when traveling! Restore Vitality in the Mouth. When your breath is sharp and your mouth feels furry, peppermint oil with water (and lemon oil) creates a healthy, refreshing mouth rinse that leaves a lasting crisp, clean feeling. It’s About Air Flow. When sinuses seem to be clogged, and throats swollen and scratchy, diffuse peppermint oil (or apply topically on the chest) for almost immediate relief and revitalizing air flow. Peppermint acts as an expectorant and may provide relief for colds, cough, sinusitis, asthma, and bronchitis. Cool the Joints. When the ravages of time wreak havoc on your joints, leaving that hot and achy feeling, peppermint oil mixed with lavender oil cools like an ice bath, but you to stay warm and dry. Feel Full, Faster. Satiety. It’s about feeling full, and not overeating. The aroma of peppermint oil has the ability to make you feel full, faster…especially if you breathe it in during a meal! Cool Your Tootsies. If you’ve been on your feel all day or religiously wear hard soled shoes, just add peppermint oil to a cold water compress to cool your overworked, over heated tootsies. Energize Your Lather. Some shampoo and conditioner combos can make you want to go back to sleep. No energy. No pep. No fun. Not good. Add peppermint to your potions to stimulate the scalp, energize and wake up! The oil is an antiseptic in nature, and can also help remove dandruff and lice. Allergies Beware. Peppermint oil has the ability to relax smooth muscles in the body — the same muscles that line our airways and become affected in allergy season. Peppermint oil (with lemon) should certainly be another arrow in your allergy treatment quiver! Chase Away Tension Headaches. Got a mind numbing headache? A few drops of peppermint dabbed on your temples, neck and sinuses can quickly spring into action and chase that headache away! Help Kids Get on the Ball. The next time Junior is a little unresponsive to all that is going on with school and homework, try spritzing a little peppermint on his shirt before study time, placing drop on the tongue or under the nose for improved concentration and alertness. Seep, Soak & Revitalize. After a long day, apply peppermint, let it seep in and then soak in a warm bath or shower. The refreshing peppermint vapor will make you feel cool, relaxed and energized again. Add a Refreshing Kick to Your Tea. Just one drop of peppermint oil can add life to any herbal tea (without having to add lots of sugar) while also aiding in normal digestion or to relieve heartburn. A “Should I Work Out Today?” Antidote. You ask yourself this question. It’s OK. Using peppermint oil prior to exercise immediately awakens your senses and gets you in your right mind so you can crank. A Snack Vendor’s Nightmare. When you get that mid-morning craving, diffuse peppermint oil to reign in the urge to snack on junk food, or anything else that might appear before you. Add Zip to All Things Chocolate. Enhance your chocolate in a gazillion ways: gourmet hot chocolate, mint brownie frosting, peppermint bark, peppermint patties, peppermint brownies, peppermint chocolate Bundt cake, red velvet cupcakes with white chocolate peppermint cream cheese, yum! Brisk, Delightful Confections. Peppermint chiffon cake, homemade candy canes, butter mints, peppermint ice cream, peppermint glaze over pastries and cookies, homemade peppermint patties. Unforgettable Beverages. Peppermint water on ice, peppermint mocha, peppermint tea, peppermint hot chocolate, that’s right … it’s all delish. Wake Up Your Mind. Peppermint oil activates the limbic function in your brain. The limbic function helps control things like emotions and long-term memory and is related to olfactory structures in your nose. An Itch Fix. If you have the after effects of a sunburn where skin is a little warm and itchy, apply a drop of peppermint oil (mixed with lavender) to cool, soothe and stop itching. Theme Park Relief. If you’ve got that “I my gosh, I can’t believe I just went on a spinning ride” feeling, four or five drops of peppermint rubbed on the stomach can calm smooth stomach muscles and help dispel discomfort. Travel to the Arctic, Without Traveling. When you add a few drops of peppermint to your ice water, it not only improves the taste, but also leaves you with a feeling of cool, refreshing arctic wind in your airways! Burrow No More. If you find a tick has decided to make your skin its home, just give that tick a nice bath of peppermint oil with a cotton swab. The tick will stop burrowing, remove its head and then he’s yours. Don’t Make It Easy on the Critters. Many household bugs do not like peppermint oil — ants, aphids, beetles, plant lice, mice and cockroaches try to steer clear of peppermint. Just add to water in a spray bottle and spray where you think pests grace you with their presence! Clean Naturally. Peppermint oil is a wonderful natural cleaning agent because it has antifungal and antibacterial properties. Spray on countertops and bathroom surfaces, scrub, and enjoy cleaner clean. Sleep Like a Baby. If you find you are having a hard time sleeping, peppermint oil helps activate cold-sensitive receptors in the skin and mucosal tissues. When used this way, it may help with insomnia. Quell Apathy. When you’re with someone who feels gloomy or like they “just don’t care”, ask them to try peppermint oil (aromatically, topically, or internally) to stimulate their mental sharpness and focus. It’s About a State of Mind. Someone’s mental outlook can be a game changer. If they are shocked, stressed out or nervous, peppermint oil may help restore feelings of normalcy and balance. Tame a Toothache. Peppermint oil can act as a concentrated natural pain killer and muscle relaxant, especially with painful gums, teething or recent dental work. Alleviate Internal Strife. When used topically or internally, peppermint is a favorite for fresh relief from cramping, indigestion to diarrhea. Skip the antacids and go with peppermint oil! For That “Marathon in Clogs” Feeling. When you feel like you’ve just run a marathon in clogs, and your feet are a hot mess of ouch, massage peppermint oil onto aching feet, joints, and strained muscles. Leap from Lethargic. Feeling lethargic or in a brain fog? Peppermint has been known to improve blood circulation and awareness, leaving you with an energized, awake feeling. Go Eight-Leg Free. When you diffuse peppermint into the room, you’ll notice fewer spiders. Why? They don’t like it. It’s safe, contains no harsh chemicals or pesticides. It doesn’t kill the spiders, but forces them out. Chase Away Stagnant Closet Air. You know that smell. Fabrics of all variety, shoes for every occasion, plus a dirty clothes bin and no fresh air can only equal one thing…you need lavender essential oil. Whether diffused, drizzled on earthen ware, or dripped on cotton balls, chase stagnancy away! Take the Bite Out of It. Insects, creepies and crawlies are not too fond of the smell of lavender. In fact, they hate it. If you forget to go the prevention route, lavender soothes bites, itching and inflammation. A Multi-Purpose Spray. Next time you sitting in traffic, pull out a spray bottle filled with a lavender and water mixture and freshen your car. Who wouldn’t prefer a car smelling like lavender? Kids Won’t Go Down? Lavender drops on their pillows … it’s like magic. It will help ease their mind, calm them down, make bedtime a bit more rewarding, and best of all … lull them into a restful sleep. Skip the Aerosol Chemical Sprays. Next time you are deodorizing the bathroom, think of lavender and water in a spray bottle. Lavender’s antibacterial, antibiotic, antiviral, antiseptic properties can only help. Take the Acrid Out of Vinegar. If you clean with vinegar, but can barely stay vertical while using it, lavender is the answer. Just add lavender and vinegar together in the spray bottle and you’re set! Therapeutic Dish or Laundry Soap. If your liquid soap smells a bit flat, you can add lavender for additional aromatherapy benefits and antibacterial properties. It transforms your cleaning experience! Lovable Linens. What does your linen closet smell like? Probably cotton. Maybe old cotton. Energize your linens with lovely smelling lavender. It leaves no oil marks and leaves things invigoratingly fresh. Wood Floors, Like New. A tired wood floor is, well … tired. Commercial floor polishes often contain harsh chemicals. Woods love oil. Just add lavender to your cleaning system and your floor can look like new! Help That Trusty Ball Cap. A well-worn, much loved ball cap can look great, but smell like a wild animal. Add 4-5 drops of lavender to make it bearable. It will be your favorite hat if you have a headache too! Change Your Sheets, Refresh Your Mattress. Unfortunately, your mattress can be neglected, and have that “wires, foam and fabric” smell. Add lavender when you change your sheets and neglect no more! Homemade Room Freshener. Put baking soda and a 5-6 drops of lavender oil in a small Mason jar. Punch holes in the lid. Place in smelly areas (near garbage can, dirty clothes), shake jar often. Smile. Pet Smells No More. Add a skiff or two of your baking soda and lavender mixture to carpets and vacuum up! If you have pets, (especially the un potty trained variety), fight back with lavender! Extra Potpourri Mileage. If you have a pot of potpourri that has seen its day, try refreshing it with a few drops of lavender essential oil. You’ll love the way lavender can change the feel of your home! Sweet Smelling Vacuum Bags. Your vacuum can be your nemesis when it comes to keeping your home smelling clean. As you well know, it can even blow microfine dirt! Pin some cotton balls (soaked in lemon and lavender oils) on the inside of the bag and let your vacuum blow! Amazing Marinades and BBQ. Baste chicken or fish on the grill with honey or a garlic and rosemary blend, spread over roasted vegetables, marinade chicken pieces in honey and lavender, yum! Bake Like the Best. Lavender is a nice addition to lavender blueberry banana bread, lemon lavender cookies, baked salmon, lavender sugar cookies, lavender muffins, lavender cakes, oh yeah! Give Your Sugars a Delightful Twist. Use as a substitute for vanilla extract (in creams, custards and sugars), use it in lavender icing, add to honey for extra flavor in tea or toast, and even maple syrup! Minor Burns, Major Relief. When you’ve slightly overdone it in the sun, a little lavender oil is helpful in preventing peeling skin. It aids in your skin’s healing without scarring as well! Boo Boo Relief. Lavender has disinfecting properties. It’s great for the skin, and wonderful for relief from cuts and scrapes, especially if the cut or scrape is located wherever it’s difficult to keep covered. Alleviate Feelings of Earaches. You can warm lavender (don’t scald it), mix with olive oil and gently massage around the ears (not in the ears) and near glands in the throat. A Dry Climate Answer. If you suffer from dry, itchy skin, and don’t want to mess around with chemical smelling lotions, add lavender to fractionated coconut oil and comfort will be yours! Horrific Heels & Foot Fatigue. If you’ve been wearing sandals all summer, and your heels look like the Atacama Desert, 6 drops of lavender in a hot foot bath is the answer. Your porous feet will thank you. Neck & Wing Relief. When you have neck and scapula tension, apply lavender with fractionated coconut oil, breathe it in and massage those knots out! A Hood of Wonder. Next time you have a cold or the flu, remember the lavender steam hood. Add 4-6 drops to a bowl of hot water. Place a towel over your head, and inhale the vapor slowly and deeply. A Woodworker’s Friend. Do you work with wood or handle wood?Rather than dig a hole in your finger trying to catch that splinter, add a few drops of lavender, let the splinter swell and slip out. Allergies, Sinuses & Congestion Oh My! Lavender can calm down unruly sinus issues, defiant allergies and other respiratory issues. Just apply on the back of your neck, chest, and between your eyes. Fortify Your First-Aid Kit. There are many dōTERRA products that would be tres glam additions to your First-Aid kit, but if you could only pick one, lavender should be it. Why? Basic First-Aid kits are often geared toward minor skin irritation, scrapes, rashes, and so forth. Lavender is great for all those, not to mention its calming properties! Rub a Dub Dub. Rather than using regular soap and warm water at baby’s bath time, add about five drops of lavender oil to the warm water. Your tot’s skin will be pampered and smell great! Soak Away Stress. Your muscles are tight. Anxiety and deadlines are eating at you. Your heart is racing. Where’s the pressure release valve? Right here, with lavender. Add to a warm bath, soak it in, soothe. Let Vapor Talk. Wet your hair in the shower. Add 4 drops of lavender to a handful of water and work it into your hands and hair.Tilt your head down, under the water and capture the aroma instilled vapor as it melts off your hands and hair. You’ll love how it smells, and how your hair feels! N.B. De auteur kan niet verantwoordelijk worden gesteld voor eventuele fouten gemaakt tijdens de vertaling of voor eventuele schadelijke gevolgen door verkeerd gebruik van de oliën. De lijst met toepassingsgebieden en toepassingsmethoden is NIET geschikt voor andere merken essentiële olië dan van DōTerra en kan zelfs ernstige schade veroorzaken. 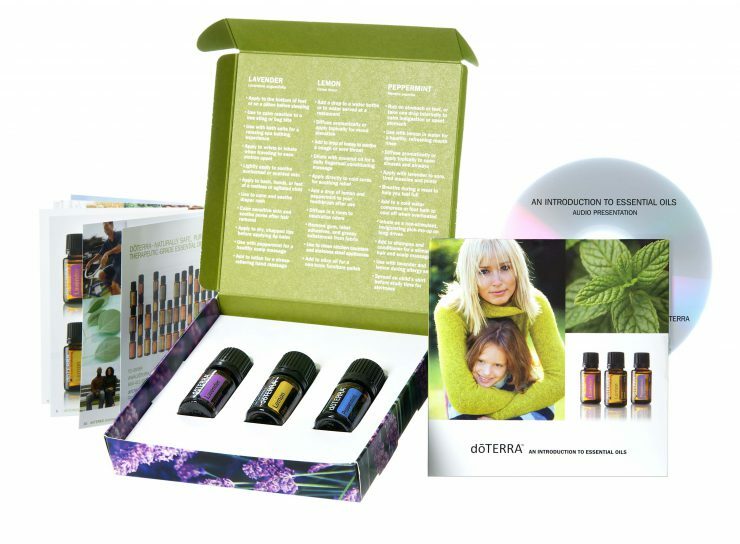 Raadpleeg voor een deskundig advies een Aromatherapeut of een DōTerra consultant.